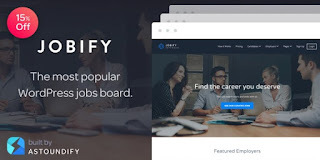 Creating a job board with WordPress is pretty easy when you find the right plugin to use. You can check out our list to see the alternatives. If you want to build a job site with WordPress then using a plugin is the best way to do it. We have listed 5 of them which are the best and most used by WP users. Simply visit the links to see them in action! Demos’ are available on their sites. This plugin is focused on extendibility and ease of use. A customized job board is created to manage various job offers via WordPress with Simple job Board. You can add multiple job listings and can show them on any page by inserting [jobpost] shortcode. 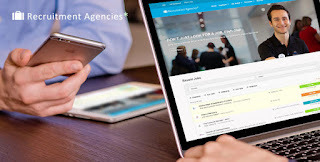 For every single job listing you can add multiple job features and customized application form. You can add notes to an application right from the dashboard. Job Manager is a plugin for managing job lists and job applications on your WordPress site. From posting job details to accepting resumes and applicant tracking and all the way through the interview process, Job Manager supports all the features you need to manage your organization’s hiring process. Plugin to pull a job board from greenhouse.io via their API and display it on your WordPress site. Use a shortcode with your URL Token to pull the data. Find your URL token on this page when you are logged into your greenhouse account. Place [greenhouse url_token=”your_url_token”] in your page or post.